Combined RCD & MCB for extra safety and widely used under current IEE 17th Edition Electrical Regulations. 6 KA interrupt capacity. Standard 35mm din rail fitting. 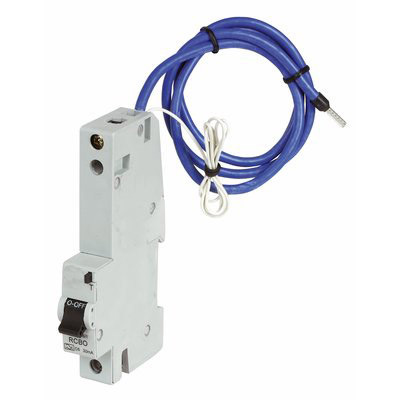 Suitable for pin or fork busbar connection.